Save on housing. Probably the biggest money leak while traveling is staying in a hotel. You don’t necessarily need to live in a luxurious suite with jacuzzi and a pool outside, unless, of course, that’s what you want. There are many great alternatives to hotels with the most popular being couch surfing. In addition to couch surfing, there are people who offer to trade living places – you’re living at their place while they travel to your country and live at your house. Although this might not be appealing to some, this is a great way to save money. You can also find a cheap hostel if hospitality exchanging doesn’t really suit you, you will just have to look more carefully and potentially deal with some cockroaches slithering around. Don’t eat out. There’s an absolutely ridiculous amount of money you can save if you cook your own meals while travelling. Most of the restaurants are expensive and this gets even worse if you’re travelling to a favored tourist place like Rome or Paris, where restaurant prices are just insane. The majority of hotels and hostels provide you with full kitchen utensils for your daily needs. Food costs add up quickly so be careful and track your expenses because before long you might not even have enough money left to come back. Use alternative transport. It seems that this should be a given, but a lot of people rent cars without even thinking how much that really cost them. Although renting a car might be useful, public transport in most of the advanced countries is really easy to use and absolutely convenient. If you’re exploring a city, you should also travel as much as possible on foot or try renting a bicycle as this is even better! This way you will explore even more places, maybe even meet people after you eventually get lost, it just screams “Adventure!”. A good tip to remember is to avoid using taxi at all costs. 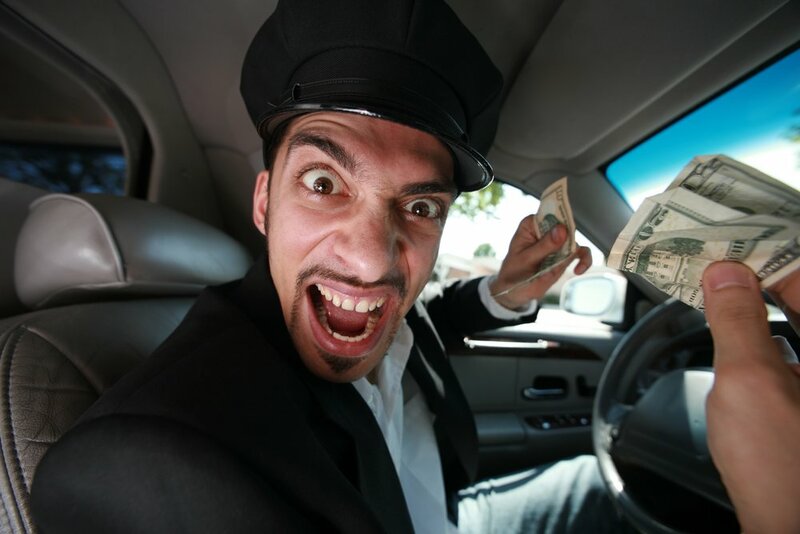 Not only taxi prices in major cities are ridiculous, but some fishy taxi drivers take detours to rip you off even more, while pretending that their English is “very bed, no spyk”, so unless you’re lost far from your living area, don’t let them use you to their advantage. Don’t get robbed. As ridiculous as this sounds, if you want to save money you have to have money in the first place and some tourist attractions can make that difficult. Carrying a lot of small bags, cameras, staring at everything like you’ve just fallen out of a tree is a one way ticket to Robberytown. Unless you enjoy getting your valuables stolen, we’d suggest you always consider your surroundings. Some cities are more notorious than others, and you’d be making a big mistake by lacking this knowledge. A good way to avoid this is to carry as little as possible, you don’t really need a full backpack of space clothes and three cameras if you’re going out to the city for a few hours. Smart phones can be a good alternative to cameras these days since cameras are one of the eye-candies for thieves. Try to keep your passport and other valuable documents at home or at least in a very safe place, in case your wallet actually get stolen. Keep your eyes open and always stay on your guard as this will protect you from a terrible travel experience.